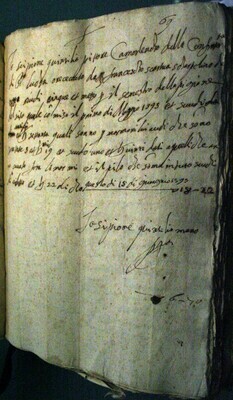 Scipione Quintillio, treasurer of the Confraternita di San Luca, receives 5½ scudi from Francesco Scardua, stone carver, for six months of rent. In addition, Scardua pays Quintilio for some marble. The document represents the receipt for these payments.